cognitive. When dealing with a large group, this may be difficult. However, through close observation and parent conferences, you can figure out what each of your students needs to succeed both academically and socially. Students who have visual disabilities can appear to struggle to see the board, squint at their paper or a book, walk into things or slow their movements around large objects, or may socially outcast themselves and choose not to be part of a group during play or free time. If you begin to see these signs, then it is up to you to take action. You can help teach your visually impaired students to adapt to their environment by offering them alternative learning tools, materials, and assistance so that they can enjoy their learning experiences and feel comfortable around the classroom and with their peers.The Braille Literacy Curriculum by Diane P. Wormsley will provide an excellent start. Making a few changes to your classroom can help a visually impaired student succeed in a normal classroom setting. Position the student in a seat near the front of the room and close to the board. Visually impaired students struggle with light sensitivity, so sitting them away from windows and glaring lights will help them to see the board and increase concentration. Another adaptation is to provide ample space around the classroom. Leave extra space between desks, tables, cabinets and other classroom objects. Keep classroom furniture in the same positions so visually impaired students become accustomed to the layout of the classroom and can easily move around without bumping into objects. Finally, remember to keep the walls clutter free. Hang only essential posters and classroom aids. When hanging class projects or crafts, it may be wise to hang them from the ceiling if possible, so your visually challenged students do not run into them and knock them down. Avoid putting up small pictures or posters with small print. Introduce students to objects on the wall or within the classroom so visually impaired students know where to find items like paper, pens or a pencil sharpener. This will help make their daily routines a little safer and day-to-day tasks a little easier to accomplish. 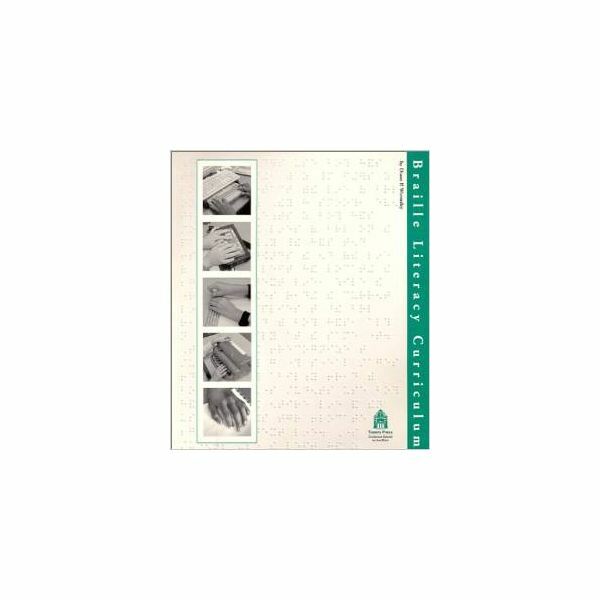 Provide visually impaired students with classroom aids to assist in the learning process. Write with dark colors on the dry erase board, using large print letters. If possible, provide students with a printed copy of the class notes, either in large, bold print (14-20 pt.) or tape record them so they can better absorb the information. Check out audio copies of stories read in class so students can listen to the text again. Record lessons, class discussions and visual presentations offering descriptive details so students can take the copies home and listen to them again. Encourage visually impaired students to use page magnifiers (they come in a variety of sizes and strengths including sheet size). Students can place these sheet magnifiers over a page they are reading to make the print larger. Ordering classroom texts and workbooks in Braille may also be useful for those who are completely blind and cannot read large print. Technology has come along way in the world of the visually impaired and is continuously being integrated into classrooms. Screen readers, low-vision projectors and screen enlargers can be used to assist in reading, writing, and when doing Internet research for projects and papers. Remember to follow the stipulations in a student's Individualized Education Program (IEP) if one exists. In addition to classroom changes, it is often necessary to make adjustments in your teaching style and routine in order to accommodate your visually impaired students. Explain everything in detail – Lessons, lectures, presentations, visuals on the overhead, diagrams should all be explained in detail for those students who are blind and have no vision. Make sure to always give directions orally. Always offer to read written information aloud. Always identify people including yourself by name in case they cannot see well enough to identify them, you or the students in their group. Always use a tactile or auditory signal when necessary instead of a visual cue. For example, for clean up or lining up, try hand clapping signals or a song. Instead of showing just pictures, try adding sound effects. Always make sure to notify these students ahead of time when there will be changes in the school or classroom schedule, such as special events, guest speakers, etc. As mentioned earlier, order all texts, workbooks and tests in large print or Braille if possible. Provide tactile learning experiences when possible (i.e. instead of talking about rocks, bring them in to pass around. Same with shells, foods, properties of matter, etc.) It is important to give them hands-on exploration that does not solely rely on their sight. Use a tape recorder as much as possible. Whenever you leave or enter the classroom, speak to the class notifying those visually impaired students that you are in proximity. Have patience with them and repeat any or all information as many times as necessary. Making accommodations to a test environment will afford visually impaired students the same opportunities for academic success and high scores as those without a disability. 1. Make sure the test format suits their visual ability (Braille if needed, large print, recorded, etc.) Reading the test aloud may also be the best method for test implementation. 2. Allow for more time and repeat questions if necessary. 3. Try adding visuals with bold or distinct contrasting colors that will help them to identify certain objects in a diagram, graph, etc. Also, using tactile learning through 3D objects can help in a lab or science setting. 4. Allow the use of large-buttoned or talking calculators, provided they do not distract other students. 5. Allow after school time to review or repeat any questions missed during class (only if they have concentration or focus problems). As a teacher of a visually impaired student, it's important that you monitor the student's progress and work. Maintaining consistent goals and expectations is necessary to ensure academic success. Students shouldn't use their visual impairment as an excuse for late or unfinished work. Teachers should hold the same expectations for visually impaired students as other students. Check in often to ensure they understand the lesson and review topics they didn't comprehend. Provide visually impaired students with extra tutoring before and after school. Encourage other students in the class to help. Assigning a student to act as a mentor to the disabled student will provide both of them with a valuable learning experience. Monitor student progress in other classes as well. Communicate with other teachers regarding student work and to gain new ideas and methods for helping the student. Build a positive relationship with the parents and maintain regular communication. Learning how to teach visually impaired students effectively will not only grant them the same learning experiences as the other students in the class, it will also help you to become a more versatile, flexible and creative teacher – qualities that will add value to your profession in the long run. Project IDEAL from the Texas County for Developmental Disabilities. Visual Impairment.